University of British Columbia, Vancouver, BC, B.A. 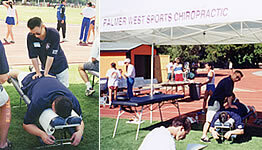 Palmer College of Chiropractic West, San Jose, CA, D.C. Seven years of post-graduate training is required before obtaining a Doctor of Chiropractic degree. The education is similar to medical school in terms of classroom hours and basic sciences. Chiropractic education however, places emphasis on the musculoskeletal and the nervous system. The government designates chiropractors as doctors; therefore, rigorous training and examinations are required. 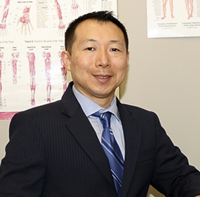 Chiropractors must pass national and provincial exams to practice.